2017 has been an epic year for books and specifically the Young Adult genre. Some ground-breaking books have been hitting the shelves that shatter the Young Adult stereotype and will pave the way for future YA authors to come. 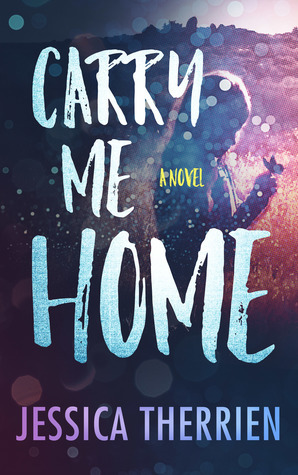 Carry Me Home is a tragic, touching, painful and moving tale about a family fleeing their broken home to create a better life. It is about a mother wanting more for her 2 teenage daughters but we all know, things aren't always as easy as they seem. Carry Me Home is told from the perspectives of Mom, Lucy, and Ruth. Each character dealing with their own deep-seeded insecurities. Lucy has the strongest influence in the novel. Her story is raw, at times, sickening and mostly heart-wrenching. She is a teenage girl begging for acceptance and love in all of the wrong places. Mom has always been under the thumb of her alcoholic, abusive husband and after scooping up Lucy and Ruth and moving to Los Angeles, she is now solely responsible for providing for these children. Keeping food in the stomach and a roof over their head. Working and going back to school, her presence at home is almost non-existent and her parenting lacks authority, especially when it comes to Lucy. Yet, her intentions are strong and she loves fiercely. Ruth is quiet and an introvert. She is not like her outgoing sister, Lucy, and they bump heads constantly. Ruth is the one that tries to pulls Lucy's reigns when Mom doesn't know what to do, but it causes more problems than fixing them. Each character has so much depth and the author does a spectacular job at letting each of their stories unfold effortlessly throughout the entire book. She crafted an emotional and relevant reading experience that will leave you thinking about it long after you've finished the last page. You will simply devour this extraordinary tale of heart-ache, pain, and redemption.